A couple of weeks ago, rumors resurfaced to suggest that BlackBerry may be planning to produce a smartphone powered by Google’s Android operating system. 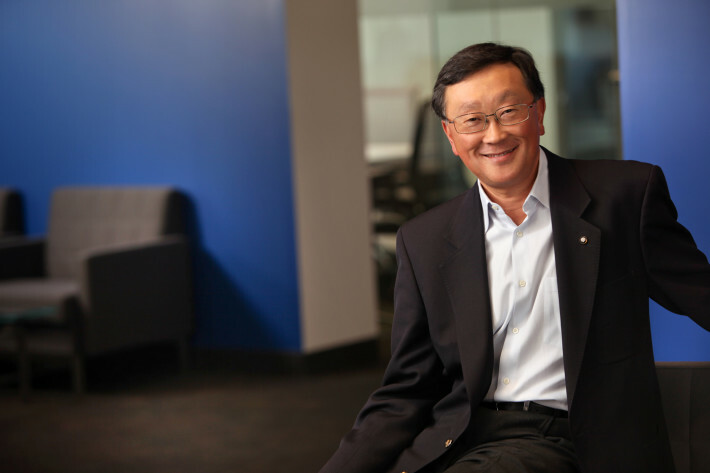 While we always take these rumors with a pinch of salt, BlackBerry CEO John Chen threw some more fuel on the fire when he commented that he wouldn’t rule out building an Android phone. Speaking in an interview with CNBC, the question was raised about whether BlackBerry is designing a pure Android phone. Chen responded by suggesting that the company would be open to building one, providing that they could find a way to make it secure. It is an interesting comment, but vague enough that it doesn’t give us any major clues, sadly. Chen certainly doesn’t confirm that BlackBerry is building an Android phone and he might even be having a little dig at Google’s questionable privacy record. Then again, the comment may suggest that the company is at least looking into the possibilities of an Android phone. BlackBerry has been increasingly open to working with parts of the Android ecosystem recently. The company released its BlackBerry Messenger onto the platform, brought the Amazon AppStore to its own OS and partnered up with Samsung to work on enterprise security. Software and enterprise solutions were a major talking point in the CNBC interview and seems to be the company’s main focus for now. Moving into the Android hardware market would be a larger, riskier and more expensive venture. The main reason for BlackBerry’s potential interest in the Android OS, in at least some form, is simply one of market share. The latest data from IDC Research put BlackBerry OS on just 0.3 percent of the smartphone market for Q1 2015. If BlackBerry ever wants to make a serious impact on the hardware market again, it couldn’t hurt to use an OS that millions of consumers are now familiar with.